Sometimes it may be really difficult to establish a leaking pipe in your entire property. In fact, some home owners may not detect a leak in their plumbing pipes until it becomes so serious or causes serious damages. When leakages are not detected at early stages, they can damage your property leading to higher losses and hence you should contact water leak detection professional if: If your water bill increases, a water leak could be a possible cause to that. Therefore, you should not take chances because you may end up incurring more damages in your property if you don’t contact professionals to establish if your plumbing system has a leakage. A sound of dripping or running water can easily be heard but at times it may be very difficult to hear these dripping sound especially under a concrete slab. 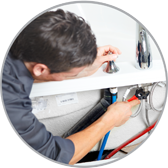 However, no matter how intense these sounds are, you should contact a professional water leak detection in Mesa, AZ to immediately to check whether there are any other leaks in your plumbing system. If your pipes run though the floor or wall, you can be able to detect a possible leak because you can notice their wetness or damp spots. If you come across wet spots on your wall, you should take your time to know whether your piping system passes through the area and what could be possible cause of the wetness. After establishing every possible outcome, you should take necessary precautionary measures to avoid more damages. If you detect low water pressure in your pipes, you should have water leak detection in Mesa, AZ. You should take your time to check all the faucets and shower heads to see if they’ve the same pressure or its some areas in your home. You should promptly react to water leaks because their damage can quickly lead to structural damages which could even be more hazardous. Avoid wasting time if you come across any clue of a water leak.